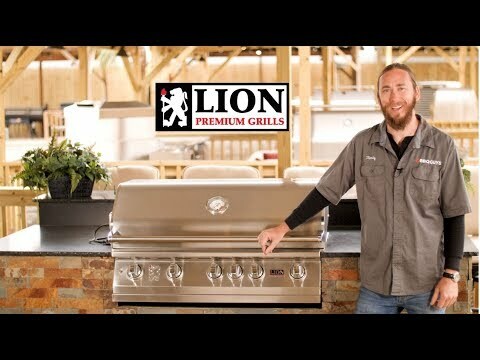 Lion demonstrates their gourmet grilling expertise with the L75000 propane gas grill. This stainless steel 32-inch BBQ grill has all the features and flare required to get your backyard barbecuing experience started. Five Lion Quick Lite valves ensure a fast, steady flame for grilling startup, and push-to-turn knob design simplifies operation. Commercial grade 304 stainless steel construction promises an unbreakable grill in your backyard. The double layer, seamless welded, stainless steel grill head with polished edges delivers durability to your grilling area. 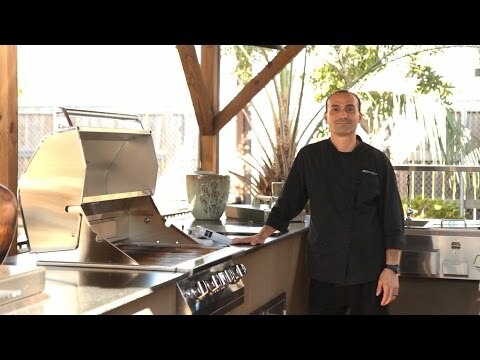 Four cast stainless steel burners push 60,000 BTUs of cooking power on the grilling surface, and a 15,000 BTU infrared rotisserie back burner adds fuel to the fire! An XL temperature gauge makes monitoring your meal simple, and the two interior lights illuminate the interior grilling area so you can enjoy grilling late into the evening. Premium solid stainless steel cooking grates resist wear and tear, and provide 647 square inches of grilling space. Experience the benefits of a grilling gourmet package with the included rotisserie, cover, smoker box, griddle and griddle remover with bottle opener. Have owned this grill for 2 years now with no problems. 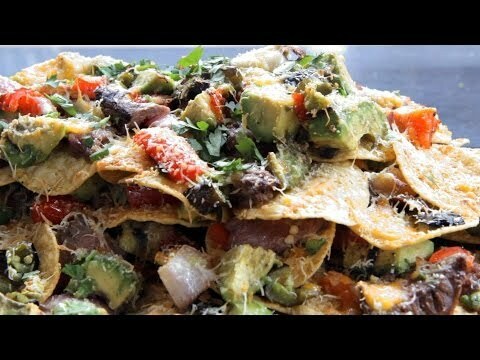 Cooks great, cleans up very easily and I use it year round in a northern climate. I've had mine now for about 5 years now. It is a great grill. Heavy duty style which cooks your food evenly. Sectionalized for easy cleaning. With proper cleaning, this grill will look and work like new for years. Very satisfied with this product. Thumbs up from this Navy veteran. Bought this grill last month on the 26th. Easy set up in my outside drop in. Use it 2 weeks later and I must say it's awesome. Grilled some salmon and chicken and no complaint here! I will definitely recommend this product. I had no issue with the grill once it arrived no dent or scratches. . I really like this grill so far, it seems really well made and operates just as it should. 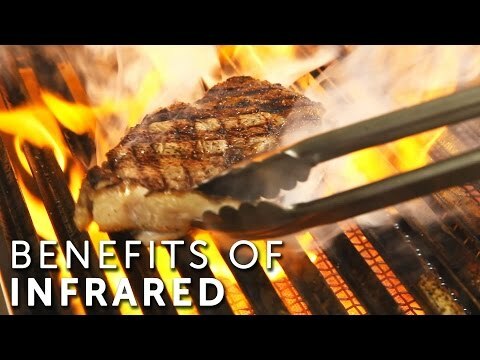 I am using Grill Grates instead of the regular cooking grates because they even out the heat on the cooking surface. I only wish I had bought this grill a couple of years ago when I called BBQ Guys and they pushed hard that I should buy the Blaze grill over the Lion. In my opinion there is no comparison in build quality. The Blaze grill looks totally worn out after just 2 - 3 years and I was replacing the sear burners every year. 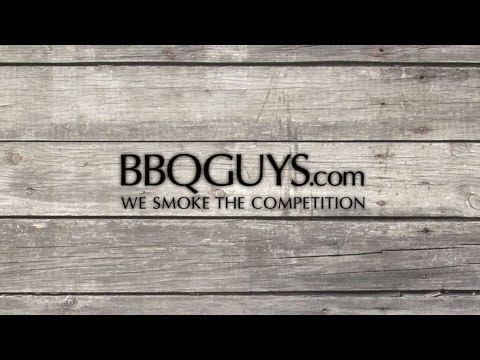 The burners, valves, flame tamers and vaporizers on the Lion are basically the same as you get on most of the mid range grills (Cal Flame, Bull, etc.) and with proper care I expect them to last for many years. The stainless steel all appears to be of good quality and should last as long as you would expect. I'm very happy with the Lion grill so far, just wish I wouldn't have thrown away the $1400 on the Blaze model first, but BBQ Guys really seem to push that brand. Excellent quality and would purchase again. Great item at a reasonable cost. All accessories included was a big plus. Great Grill. Very Happy with this purchase. My builder is creating an outdoor kitchen and we will be using propane - he wanted me to ensure this grill will come with the regulator that can be "hard piped" in. The accessory hose/regulator conversion kit I saw online looked like a flexible house that he said wasn't correct. Hope that makes sense. Thanks!! How deep does this pit sit down into the counter? Excellent question! The cut out height is 9 5/8" and that is how far it will sit into the counter. Is there an insulated grill jacket available for this grill? Hi, Kot. Unfortunately, there is no insulated jacket available, but we recommend that you speak with your contractor to see what your options are. How long/what is the reach of the gas hose supplied with the unit? A gas hose is not included with the natural gas grill version, only the propane version. This grill will be in a location with a brick wall behind it...how much clearance is required for the grill top to open fully? The grill's lid opens flush to the back side of the grill, with a small overlap. The grill should be installed with a minimum 3-inch clearance from the back of the grill to your brick back wall. 31" 30 5/8" 30 5/8" 36 1/2"
21 1/2" 21 1/4" 21 1/4" 21 3/8"
9 5/8" 8 1/2" 8 1/2" 7 1/2"